The facade of the Hotel Del, a resort distination built in 1888 and at the time it was considered "the talk of the Western world". 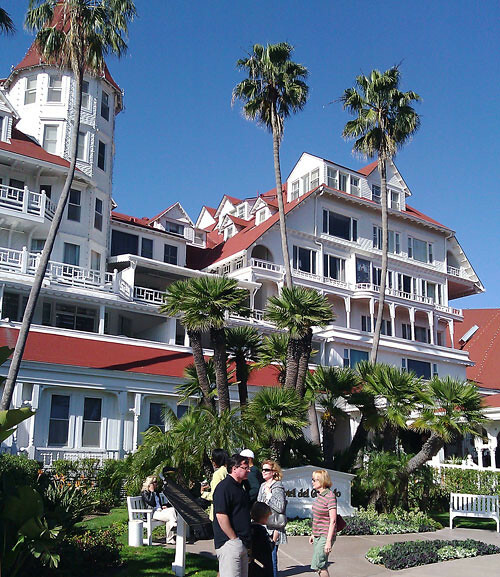 The 1959 classic comedy film, "Some Like It Hot" starring Marilyn Monroe was filmed right there at the Del. 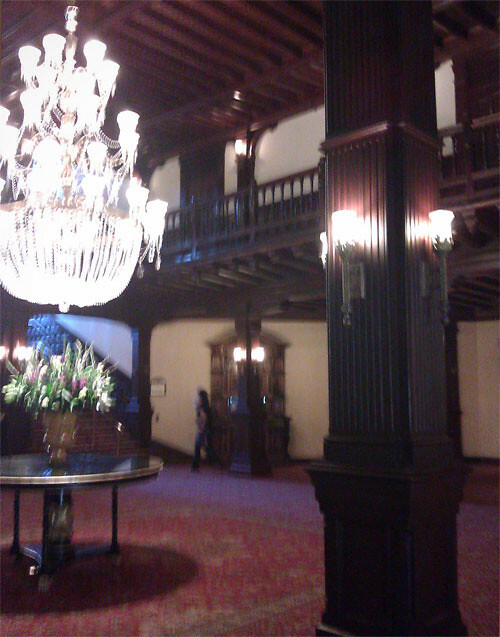 Lobby view (blurry, my fault) showing the contrast between the dark woodwork of the ceiling and balcony with the elegant airy crystal chandelier. 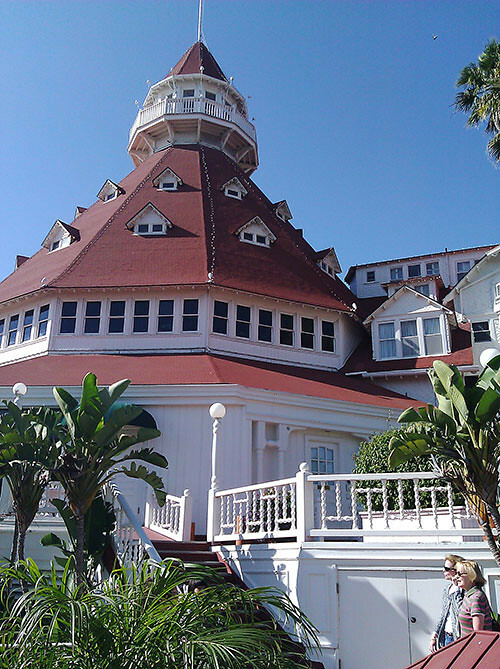 My Joe, his bro Craig, and girlfriend Dolores admiring the many turrets and towers of the Hotel Del. 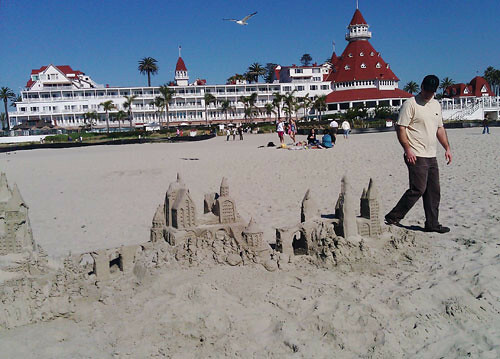 Hunky Joe taking a closer look at an intricately detailed sand castle city built on the beach by a skilled someone. 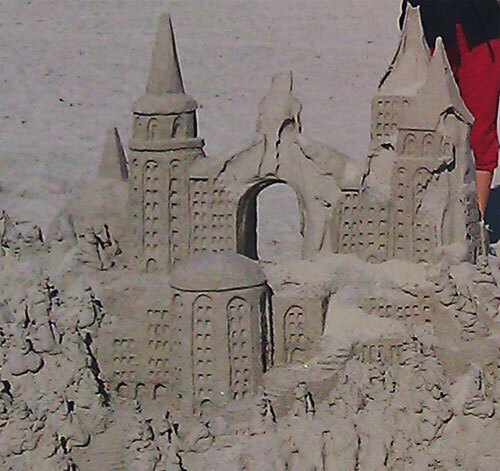 Close up view of that amazing sand castle. 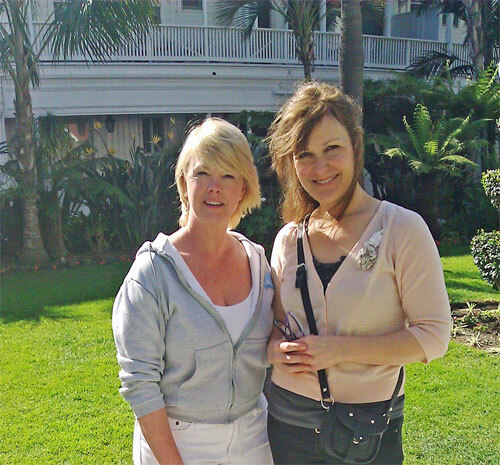 Dolores and me standing in the glorious sun filled courtyard.